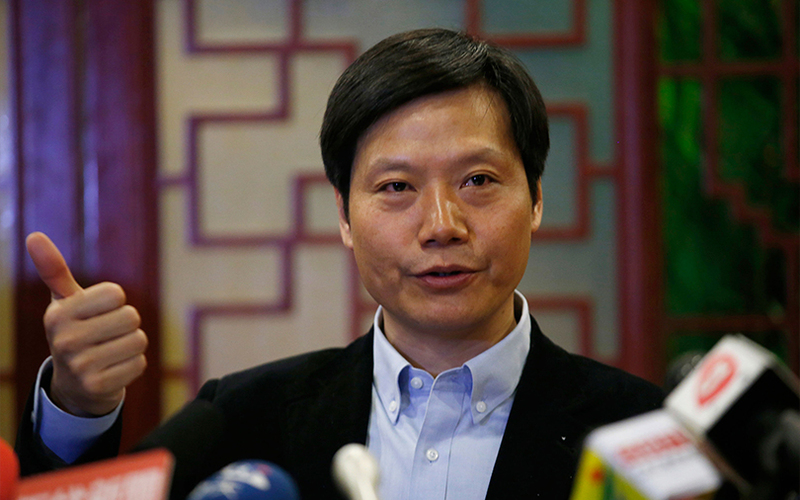 Chinese electronics maker Xiaomi Corp plans to invest $1 billion in 100 Indian startups over the next five years in a bid to create an ecosystem of apps around its smartphone brand, CEO Lei Jun said in a report. In an interview to Mint, Lei said that Xiaomi and its sister firm Shunwei Capital has already invested in six Indian companies that include Hungama and KrazyBee. He said that Xiaomi will invest in businesses that include content, hyperlocal services, fintech, mobile phone repair and manufacturing. “In China, in the past four years, we’ve invested $4 billion in over 300 companies. In the next five years, we will invest in 100 companies in India,” Lei said. “We will basically replicate the most successful ecosystem business model of China in India. We will have all types of services and products and integrate them. That is the Xiaomi business model,” he said. Earlier this year, Xiaomi India head Manu Jain had told VCCircle that the company was looking to back startups that enhance mobile experience. Xiaomi had led a $25-million round in online entertainment company Hungama Digital Media Entertainment as part of its strategy to introduce local content on its smartphones. Also, Shunwei Capital had led a $5-million round in mobile gaming startup Mech Mocha Game Studios. Xiaomi and Shunwei were also in talks to invest $18 million in vernacular social networking platform ShareChat. According to Counterpoint Research, Xiaomi captured 22% of the Indian smartphone market in the third quarter of 2017, just shy of Samsung’s 23%. The Chinese handset maker had only 6% of the Indian smartphone market in the corresponding period last year. In its home market in China, Xiaomi inched forward with 13.8% market share in the third quarter. It had 10.3% of the market for the same period in 2016. Globally, it saw maximum growth with an 81% increase in market share and ranked sixth behind Samsung, Apple, Huawei, Oppo and Vivo. The company controls 28% of the entire global market, compared with 15.5% a year earlier. Lei’s comments assume significance in the light of rising Chinese investments in Indian startups. Chinese e-commerce giants Alibaba and Tencent are already major investors in Indian consumer Internet companies. However, unlike Alibaba and Tencent, Xiaomi will mainly invest in startups that will help scale its smartphone market share in India. Xiaomi is one of the most valued privately held tech companies globally. The company had raised equity capital at a valuation of $45 billion in late 2014 and sells its phones in some 60 countries.